I already took and completed classes on Medical Billing. College, I finished my class about four years ago but like a lot of people I need to do a brush-up on this material. What do you suggest? Congratulations on getting your certificate. The best way to get up to speed in medical billing is to get up to speed on the stuff we do on a daily basis. This would be entering ICD and CPT codes and the associated charges and into the practice management software, posting payments and write-offs, verifying insurance eligibility, investigating rejected or unpaid claims, entering patient demographics, understanding insurance write-offs, co-pays, co-insurance, filing primary and secondary claims, creating patient statements, etc. A basic understanding of coding and medical terminology is very helpful - especially in recognizing when the diagnosis doesn’t match the treatment. I’m sure your current coursework give you a strong background in this. 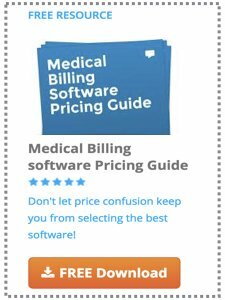 If you haven’t used medical billing software in a while I would suggest checking out some of the more popular vendors sites and viewing their demo’s Kareo has a lot of demos showing the capabilities of their software that are easy to view and understand - both on Youtube and on their site - as many others do also. I would also brush up on - this is becoming more common and those who are familiar with and know how to use it will have a leg up on their peers. EMR software can be a real time saver for medical billing specialists in retrieving info on patients that we used to have to retrieve from paper files. It’s also helpful to understand the different types of insurers such as Medicare/Medicaid, Blue Cross, Commercial carriers, etc and their fee schedules and different provider contract agreements. You’ve probably have already covered a lot of this in your recent coursework. Hope this helps - I just tried to think of all the tasks medical billing specialists perform on a daily basis. Anything you can do to get actual real world experience is very helpful. I know that’s easier said than done but if your local college offers any apprenticeship or intern type programs I would recommend taking advantage of them. What about being out of school? I have graduated with an AS degree in Medical Billing and Coding and was wondering how I could gain experience? At this time, I am unemployed and my membership dues to the AAPC have lapsed. I would like to gain experience in this field but can't even get my foot in the door at the moment. This includes an entry-level position as a receptionist at a local clinic. Any suggestions would be helpful especially since I would like to run my own business. all a matter of having confidence. a living at our local hospital. I just now work in investing on a software.